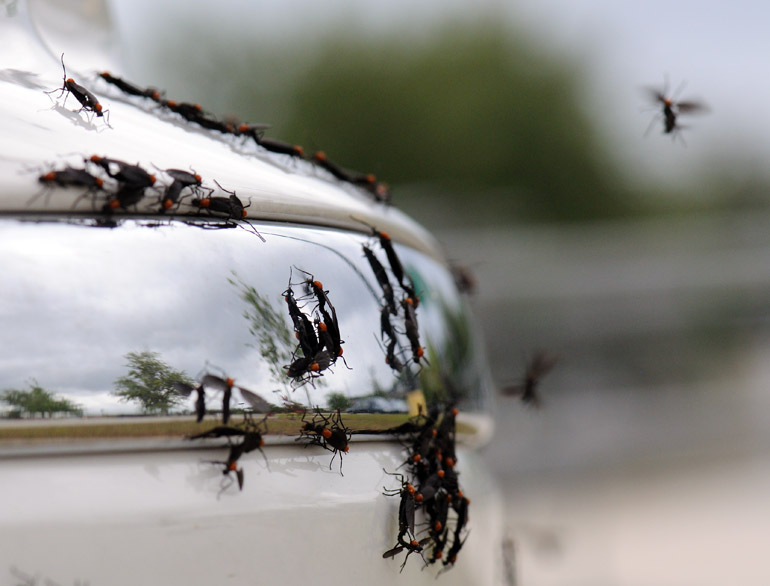 This happens twice every year in Florida: Flies known as lovebugs -- because they're most often seen in the act of mating -- swarm over the roads and parking lots, driving motorists to the car wash every day during the outbreak. This year's swarm, though, seems particularly ridiculous. 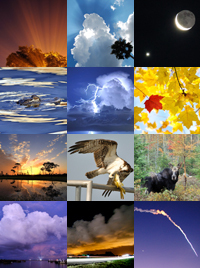 I wrote this story about it. 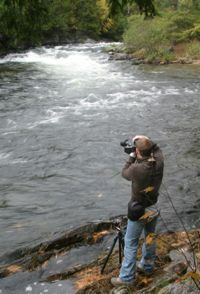 Above, a pair perches on a car headlamp. 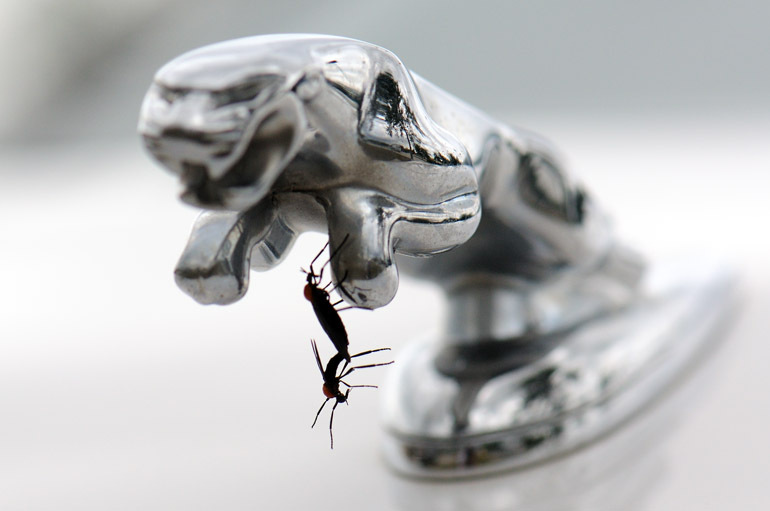 The lovebugs were all over this Jaguar I found in the parking lot of a Walmart in Melbourne. 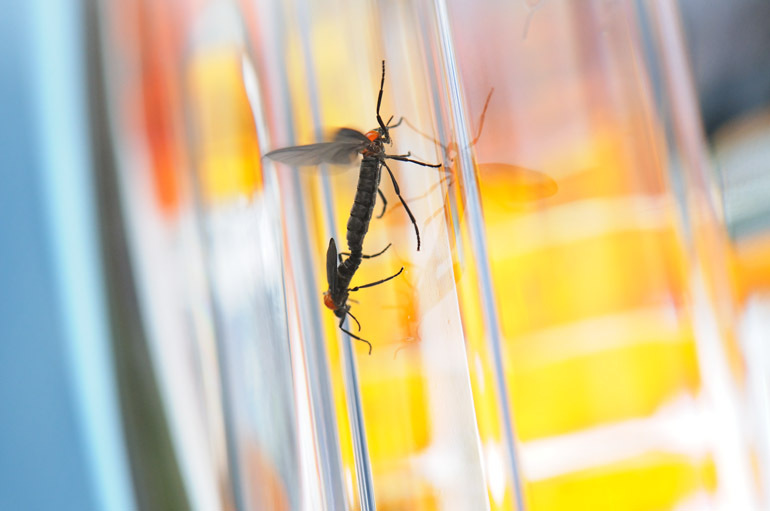 An intimate shot of lovebugs caught in the act. 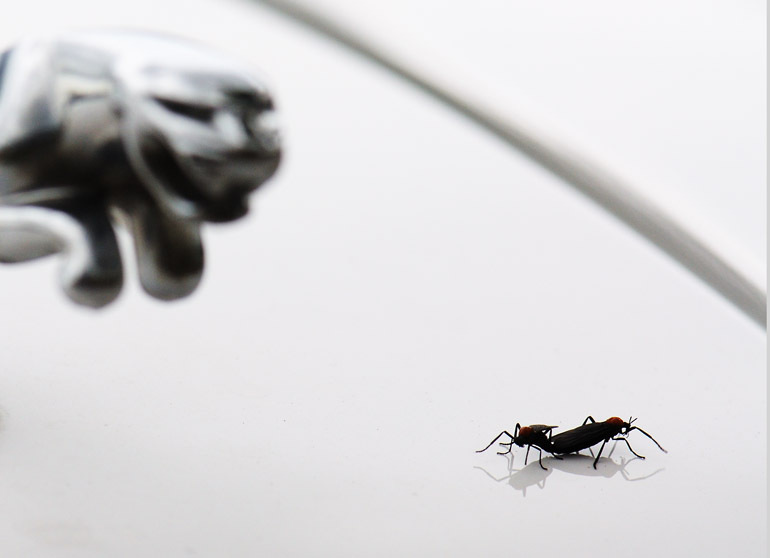 Lovebugs are attracted to ingredients in car exhaust and to the heat vehicles tend to emit while baking in the Florida sun. They also like light-colored surfaces, explaining why they landed on this white car. Another two on the hood. 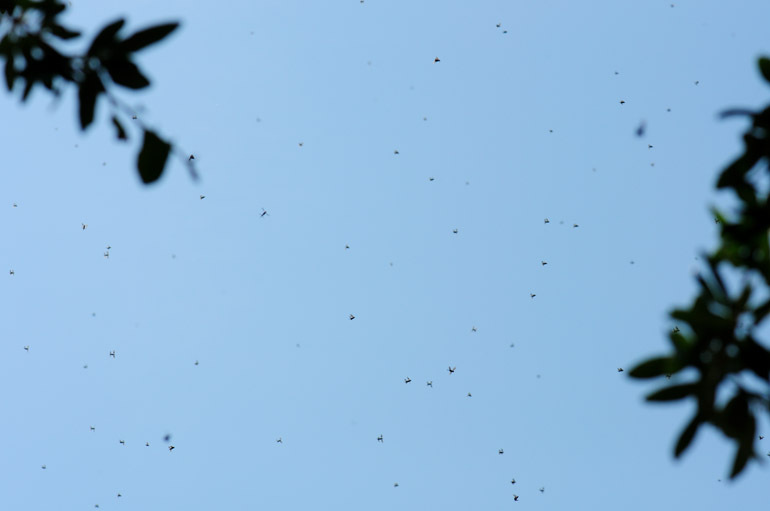 A swarm is contrasted from the blue sky. 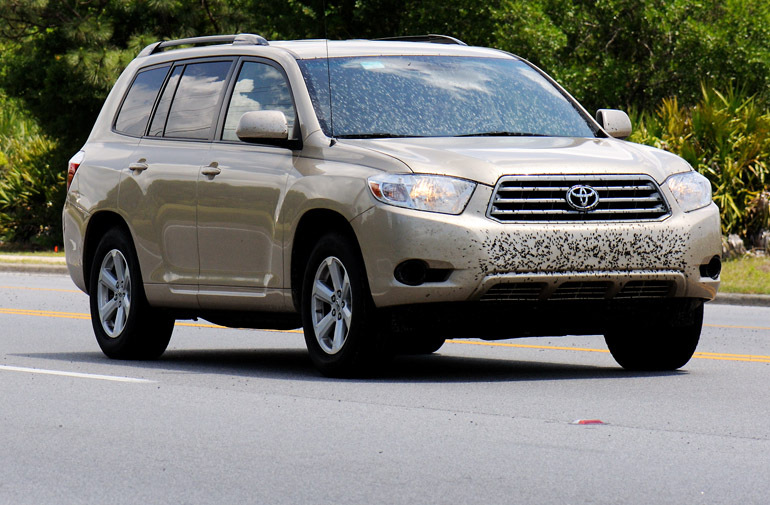 When you're moving 50 mph in a car, such a swarm makes it seem as though it's snowing black bugs. They splat on your windshield, and they're not easy to scrape off unless you do so immediately. 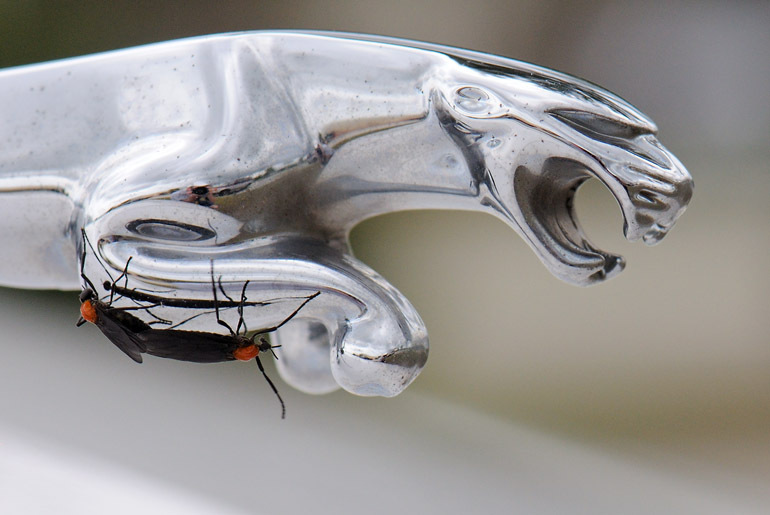 Two hang out on the Jaguar hood ornament. I stood alongside Wickham Road, which runs in front of my apartment complex and where the bugs seemed extremely thick, and waited for an especially coated vehicle to pass by. This SUV got it pretty bad. 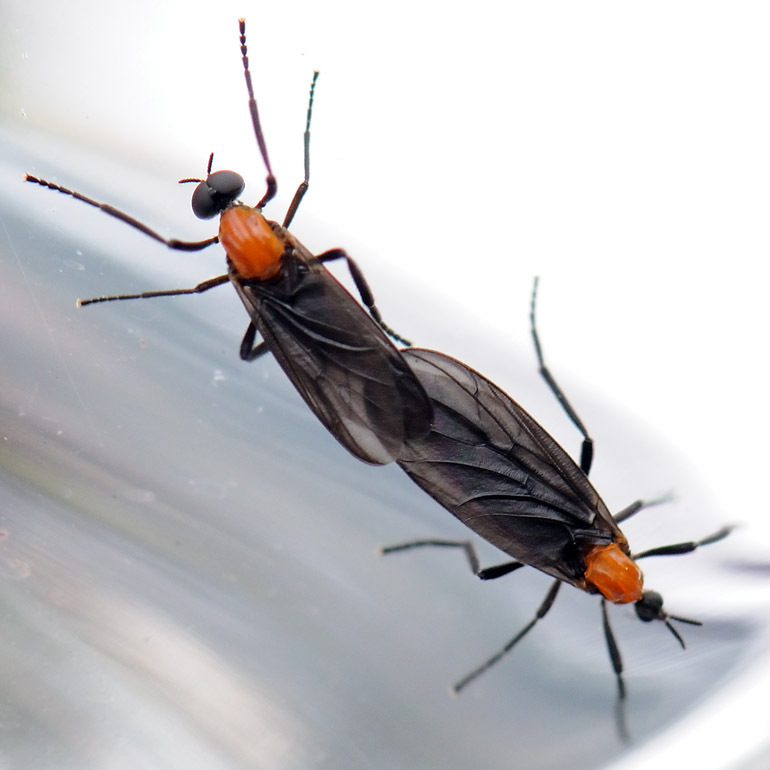 If lovebugs aren't cleaned off quickly, their juices can turn acidic and eat into vehicle paint. The black specks on the pavement in this photo are dead lovebugs.